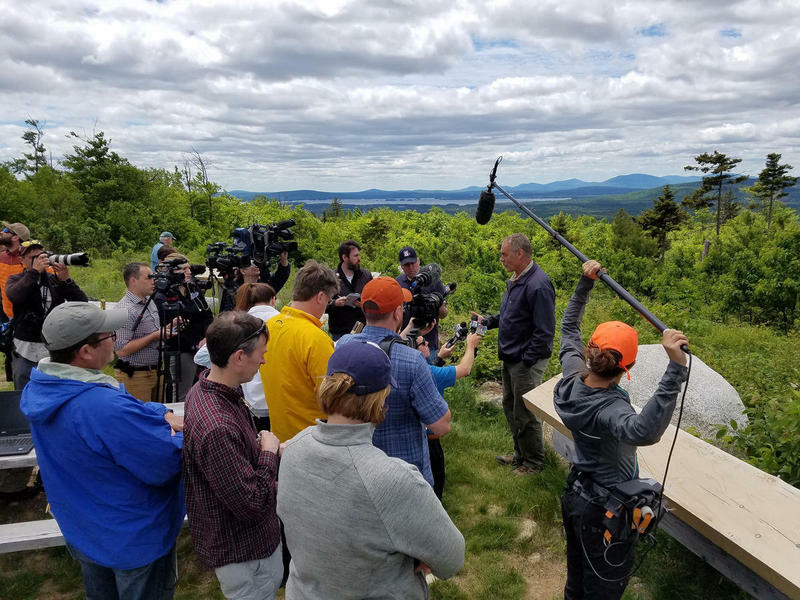 Zinke addresses the media after a tour of the Katahdin Woods and Waters National Monument last Thursday. At a budget hearing on the Department of the Interior, independent U.S. Sen. Angus King of Maine asked Secretary Ryan Zinke about his recent trip to the Katahdin Woods and Waters National Monument in Maine. The interior secretary said he was optimistic that he can please all sides. King thanked Zinke for his recent visit to the monument as part of the review ordered by President Donald Trump of 27 national monuments, including Maine’s, which was created by President Barack Obama last year. “You met a commitment to me you made at your hearing to go to Maine, and I am just delighted you did that, so I want to thank you for that,” King said. “It was a wonderful experience and I am sure you are going to be enthusiastic at the recommendation,” Zinke said. King supports keeping the monument in place and so does Republican U.S. Sen. Susan Collins. Zinke said he has spoken with Gov. Paul LePage, who opposed the designation, and told LePage his recommendation will be an approach that all parties will be satisfied with. Zinke didn’t say what that recommendation will be, but during his tour of the region last week he said he had not ruled out asking for congressional approval of a national park, with the caveat that it include traditional uses such as logging and hunting, and as long as members of Maine’s congressional delegation support the idea. 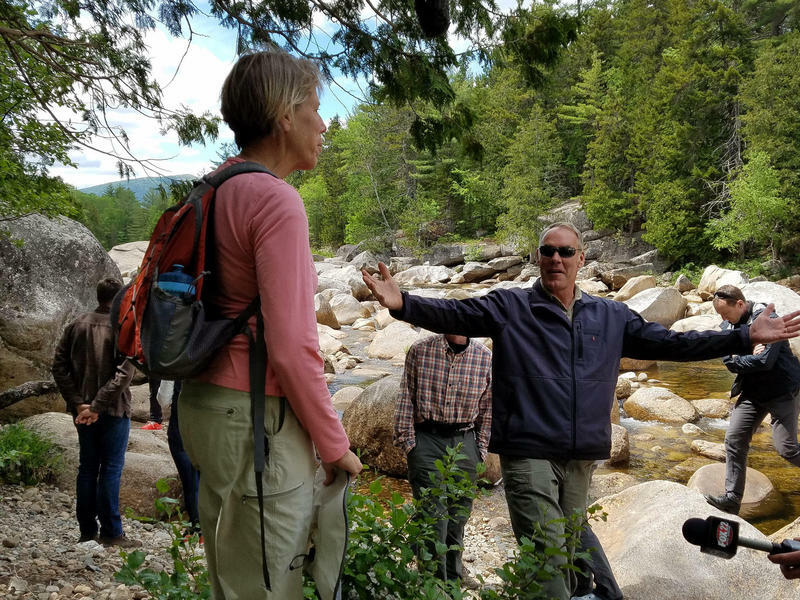 On the second day of his visit to the Millinocket region, Interior Secretary Ryan Zinke offered some encouragement to local supporters of the Katahdin Woods and Waters National Monument. Susan Sharon talks with Nora Flaherty about U.S. 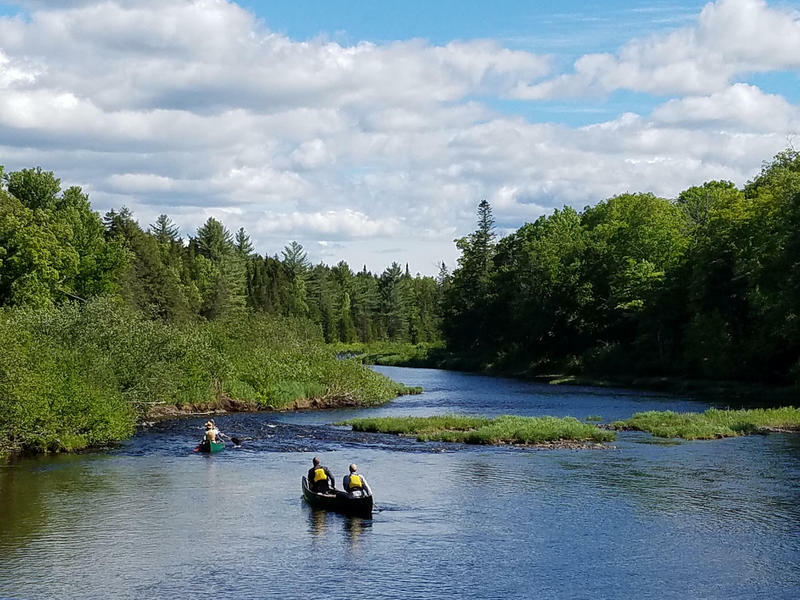 Interior Secretary Ryan Zinke's visit Wednesday to Maine's Katahdin Woods and Waters National Monument. U.S. Interior Secretary Ryan Zinke said Thursday that supporters of the Katahdin Woods and Waters National Monument would likely be pleased with the recommendation he plans to make to President Trump on the monument's future. That assessment comes a day after the interior chief got a whirlwind tour of the property that was a little bit like a speed date.